Perhaps the most noteworthy thing about the Rampage movie right now is the fact that the film isn’t getting terrible reviews. Actually, director Brad Peyton’s blockbuster currently has a Rotten Tomatoes score of 50 %, which isn’t bad at all when you consider that this is a movie based on a video game. As a matter of fact, this is the best-reviewed video game film on Rotten Tomatoes right now, one percentage point above last month’s Tomb Raider which sits at 49 %, and leagues ahead of other recent video game adaptations like Assassin’s Creed, which have a lowly 18 % rating (but weren’t actually as bad as some made them to be). The movie site itself advertised Rampage’s critical success in a recent tweet (via GameSpot), saying its then 53 % score would make it the top-rated video game film made to date. 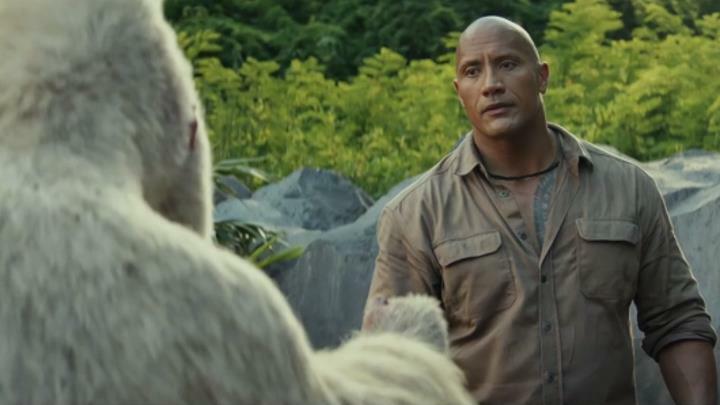 And the movie’s larger than life star Dwayne Johnson (aka The Rock) surely was thrilled to read the news, stating in a tweet that “we may have finally broken the dreaded video game movie curse”. However, Johnson likely upset others when he referred to Doom, the film adaptation of the legendary video game which he starred in, as a “stinker”, prompting a one-word response from Doom’s Twitter account. But despite the fact that the most recent Doom video game was actually pretty good, the movie itself wasn’t well-reviewed, and it’s actually regarded as one of the worst video game films to have come out to date. Kudos to Dwayne Johnson and Warner Bros. for Rampage, though. The film not only has been hitting hard at the box office but has been relatively well-received for a video game film adaptation, proving there’s hope yet that the video game curse can be broken once and for all and that video game movies can be as entertaining as any other movie genre out there. Next: Where will the next Assassin’s Creed game be set?